The SAG Awards has been one of the most tenacious and prestigious events in the world. Now, we can stop speculating about the date of the event and consider the upcoming one is real. 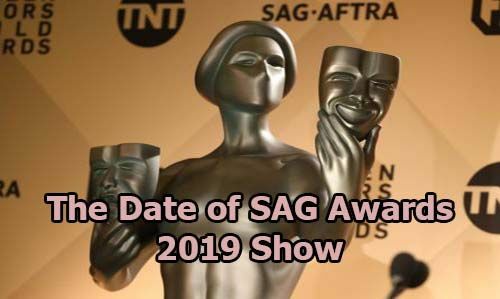 The upcoming SAG Awards will be the 25th annual ceremony set for Sunday, January 27, 2019. The big event will focus on the awards for the magnificent films and TV performances that will draw the attention of the viewers around the world. The TNT and TBS will both simulcast the event live from the venue. The event will start at 5 p.m. PT or 8 p.m. ET. Make sure you note this time so that you won’t miss the spectacle. As mentioned, it is going to be the 25th edition of the show. It is not surprising that there will be millions of people watch this big event simultaneously around the world. SAG-AFTRA members have been selecting the awards. This year, the officials noted that there are 121,544 eligible voters this year. The show has been one of the most pivotal in the entertainment industry because it acknowledges the work of the union members. It was also the first show to grant the awards to the film casts and TV ensembles and crews. The Universal Studio was the first place wherein the SAG Awards debut back then in 1995. The second annual ceremony was live telecasted from Santa Monica Civic Auditorium. Alan Alda comes up as the 55th recipient of the SAG-AFTRA highest tribute: the SAG Life Achievement Award for career achievement and humanitarian accomplishment. Alan Alda is the award-winning actor, writer, director, producer, polymath and advocate for science communication. The officials will present the top accolade at the upcoming 25th Annual Screen Actors Guild Awards. 121,544 performers are the members of Screen Actors Guild send their votes to honor their fellow peers at the most prestigious Hollywood event. “Actors” is the name of the statuettes handed to the recipient of the awards. Rather than the picture or TV drama appreciations, the SAG Awards instead focus on the ensemble and individual performances. Kristen Bell will be the host of this big event. It is the first time that SAG Awards has Kristen Bell as the emcee. Now it is also the spark of the upcoming SAG that will be sensible to watch. It can also add the factor of interest for all the viewers. After all, have you wondered how SAG would be if there were the female presenters? Everyone will be curious about seeing that happening. It is also the right time that we can salute to the women emcees who have been brave and proud to be the presenters. Catching up with the event through your favorite screen won’t be a problem since you can watch it through TNT or TBS. Time Warner owns both of them. So, you won’t need to worry when looking up the channels that broadcast the spectacle.